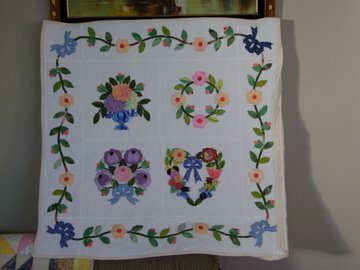 JUSTELLA'S GRANDMA: Another Quilt Top finished. Here is a quilt top finished. I have made this one for my great neice. In an earlier post I showed the Ohio Stars that are in the border. That was about 18 months ago so it has been awhile in the making. The rail fence blocks in the border are made of flannette fabric used to make pjs in the 60's. This fabric was off cuts from the sewing factory my brother & sister in law worked in before they were married. ( My great nieces' grandparents). Another one ready for quilting. I was given a book for mothers day (The Hand That First Held Mind, By Maggie O'Farrell). I have finished reading it already so I can recommend it as a good read.